Nominations are now open for the NHS Tayside Staff Appreciation and Recognition (STAR) Awards. 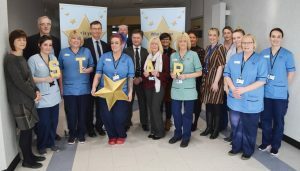 NHS Tayside Chief Executive Grant Archibald was joined by some of last year’s winners to officially launch NHS Tayside’s 2019 Star Awards at Ninewells Hospital. Chief Executive Grant Archibald said, “I’m delighted to officially launch the 2019 STAR Awards. These awards are a great opportunity for members of the public and colleagues to show their appreciation for the hard work and dedication of our staff. Members of the public can nominate their NHS Tayside STARs in three categories – Outstanding Individual (clinical), Outstanding Individual (non-clinical) and Outstanding Team. There are also three more specialised categories which are only open to nominations from NHS Tayside staff. These are Quality/Service Improvement, Inspiring Educator and Innovation in Practice. A team who works together going the extra mile for patients or colleagues/NHS Tayside. Visit www.starawardstayside.scot.nhs.uk for more information about the STAR Awards and to nominate your ‘shining STAR’. 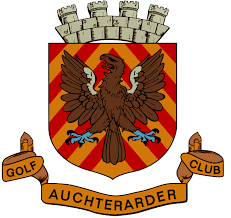 Anyone who has difficulty accessing the website or who needs assistance to complete the nomination form can call the nomination phone line on 01382 632021. The phone line is open Monday to Friday 10am to 4pm. Nominations close on Friday, 1 March 2019 at 5pm. All finalists will be invited to the STAR Awards ceremony at the Apex Hotel in May, where the winners of will be announced.